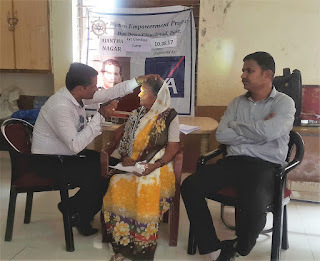 Pune (Chinchwad), 10th August 2017: The Don Bosco Development Society (DBDS), Chinchwad organized a “Free Eye Check-up Camp” for people residing in Ajantha Nagar slum in Chinchwad. 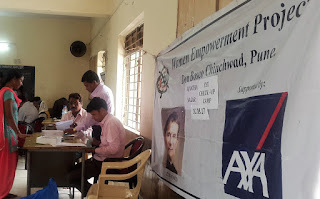 About 117 people (67 women, 28 men and 22 children) benefited from this free camp, held under the aegis of ‘Women Empowerment Project’ supported by AXA Business Service, Pune. 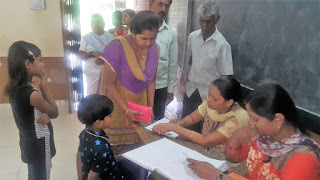 This camp was held in association with H. V. Desai Hospital, Hadpsar (Pune) at Mata Ramabai Ambedkar School. Dr. Prakash Javande, Dr. Sharad Shinde, Dr. Sandeep Pandit and their team examined 117 people in this camp. 7 Cataract patients were identified in this camp who will be treated free of cost in their hospital. 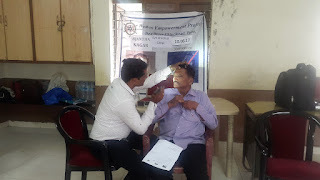 Medicines for the people with eye infection were distributed free and people with defective vision were given specs at a discounted price of Rs.60 only.